Good news on Good Friday coming from Greece as Sam Cassar and Mark Abela managed to pass the first round of the Hellas Junior 2018 Under 19 Tournament after beating Antonis Adamou/Christos Hailis of Cyprus 21-15, 21-15. It was a good game for the Maltese pair as they pressured their opponents and kept in front for the whole match. Mark and Sam are currently ranked 143rd in the World Junior Rankings and continue to show positive results especially in the doubles game. Tomorrow at 9:10am (local time) they will face the English pair James Lin/Brandon Zhi Hao Yap who today overcame the challenge given by Dimitar Nenchev/Stanislav Zlankov 21-12,21-13. In the singles category Sam Cassar managed to pass to the second round after beating Cyprian Antonis Adamou in a very tight match and managed to win 27-25, 21-13 and then had to face Mexican player Jorge Rodriguez. 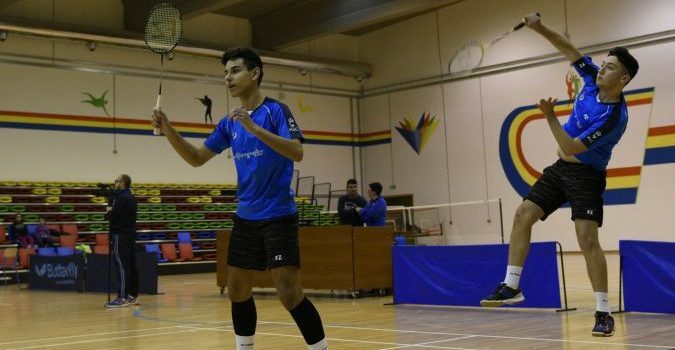 Rodriguez had already eliminated Mark Abela in the Israel Junior earlier this year and managed to make it two in a row against the Maltese after beating Sam Cassar 21-14, 21-11. In the Croatian International Matthew Abela was promoted directly to the main draw but didn’t manage to proceed to the second round when he faced Swedish Richard Kuhl and was a close first game losing 21-17 and then finding it difficult for a comeback and losing 21-7. His brother Mark Abela, playing at the Hellas Junior in Sidirokastro was successful in passing the round in the Doubles category but was less lucky in his Singles draw and didn’t manage to pass the round against Bulgarian Stanislav Zlankov. Abela didn’t surrender without a good fight and lost 21-17, 21-16. Tomorrow Mark Abela and Sam Cassar will be continuing their challenge in the Hellas Junior. Good luck!